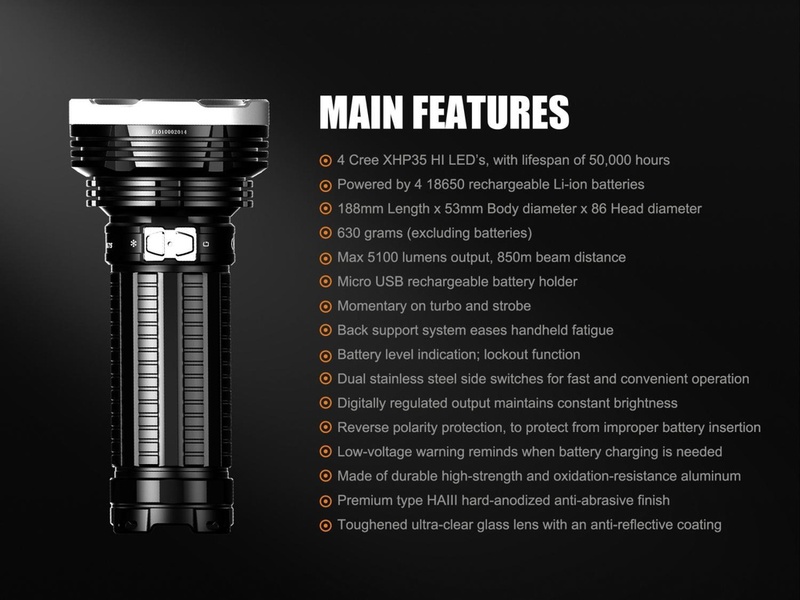 The TK75 is a rechargeable flashlight with an astonishing combination of 5100 lumens maximum output and 850m maximum distance. 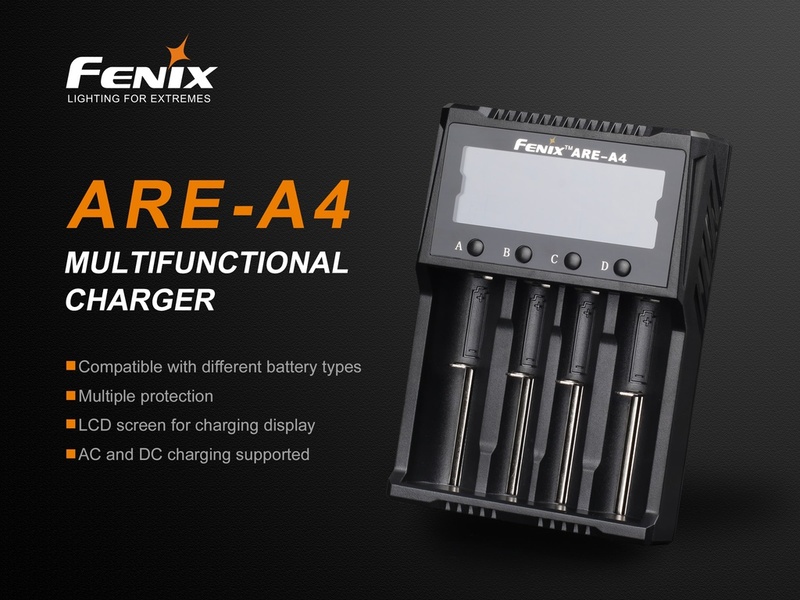 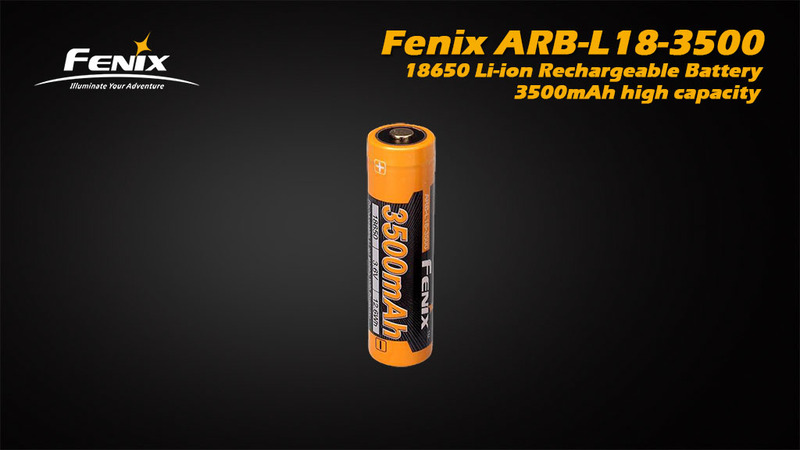 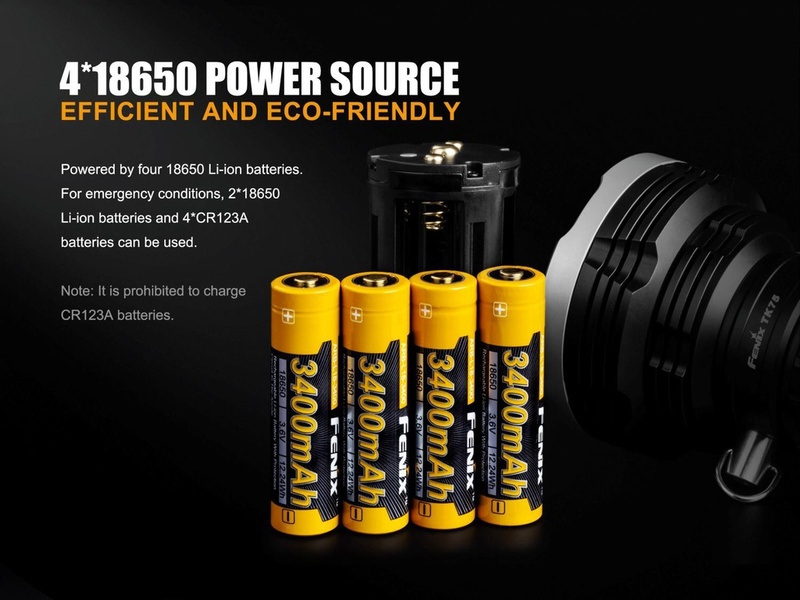 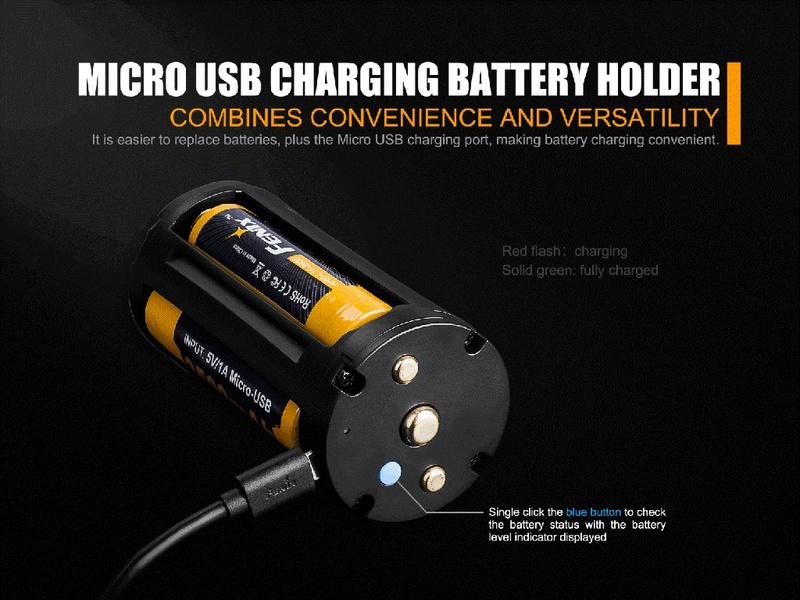 The innovative rechargeable battery holder comes with a Micro USB port, powered by 4 18650 batteries. 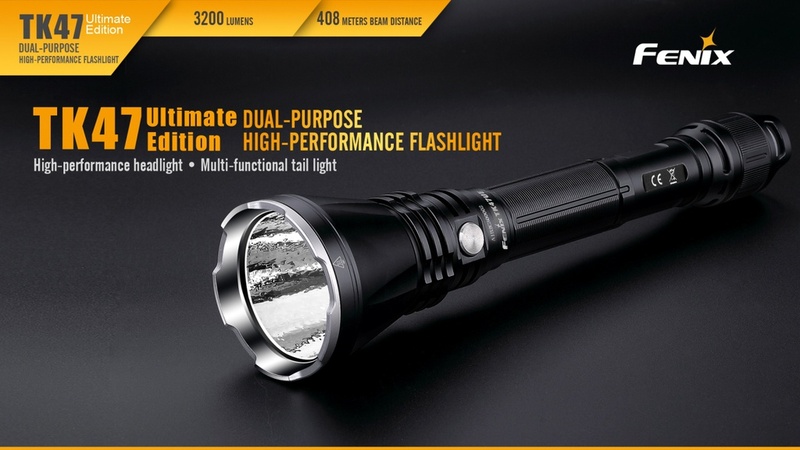 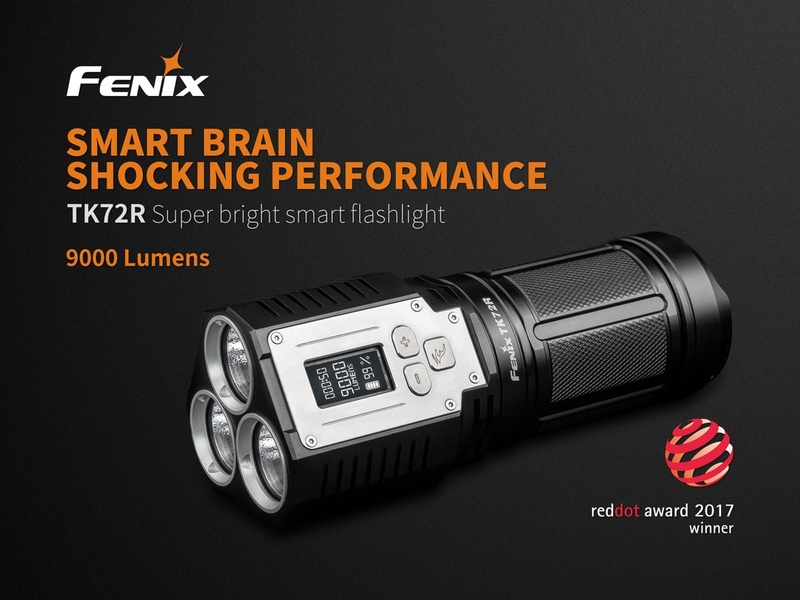 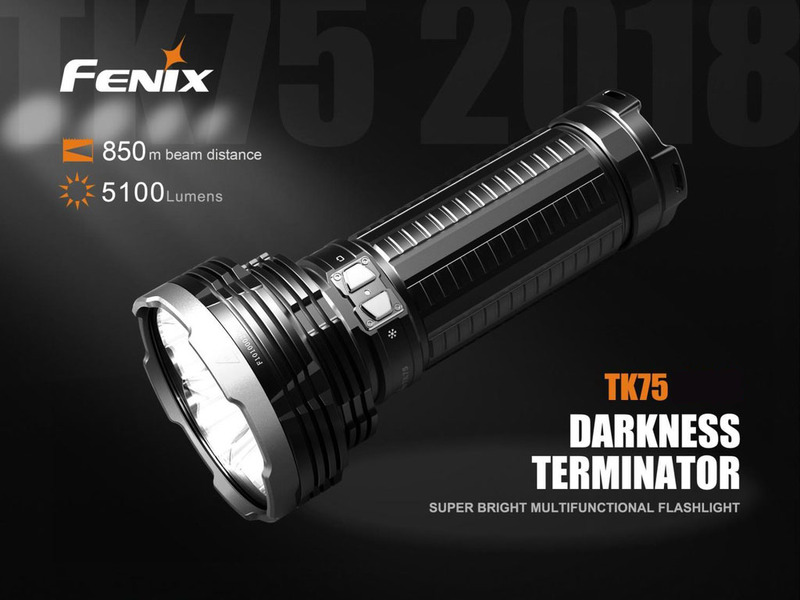 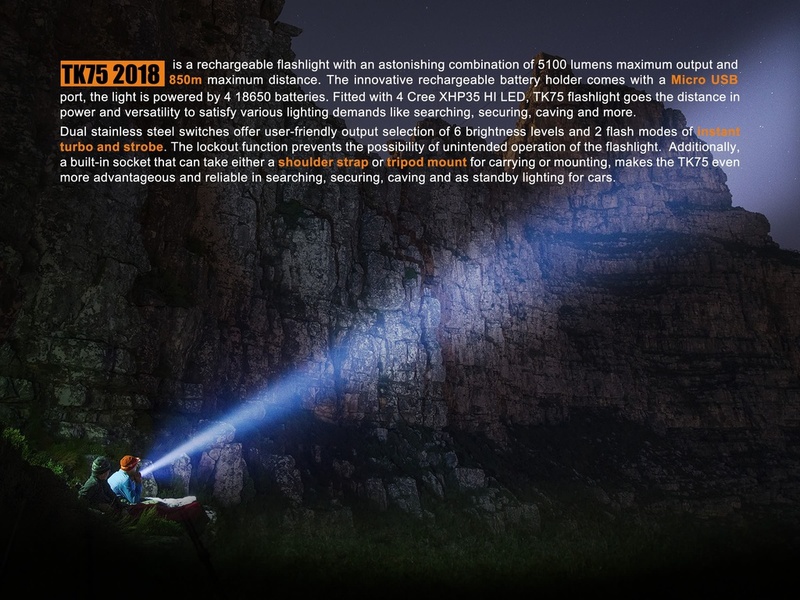 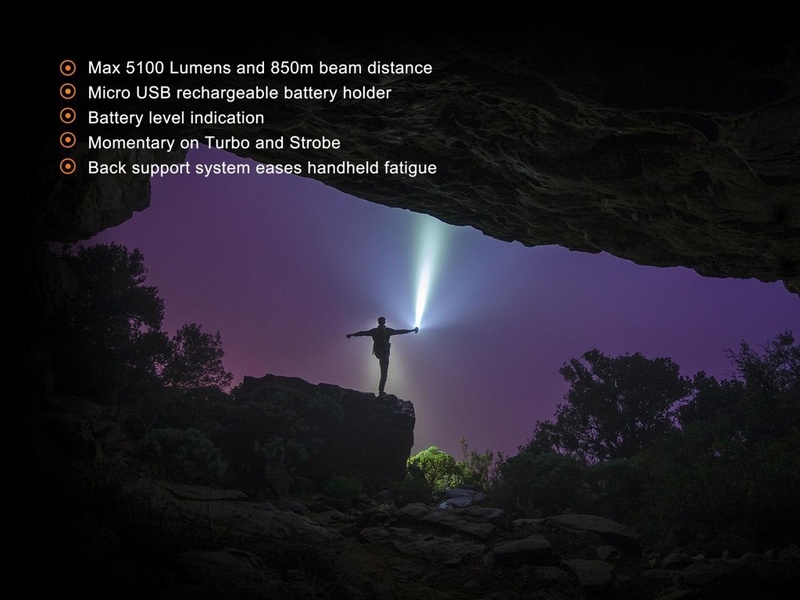 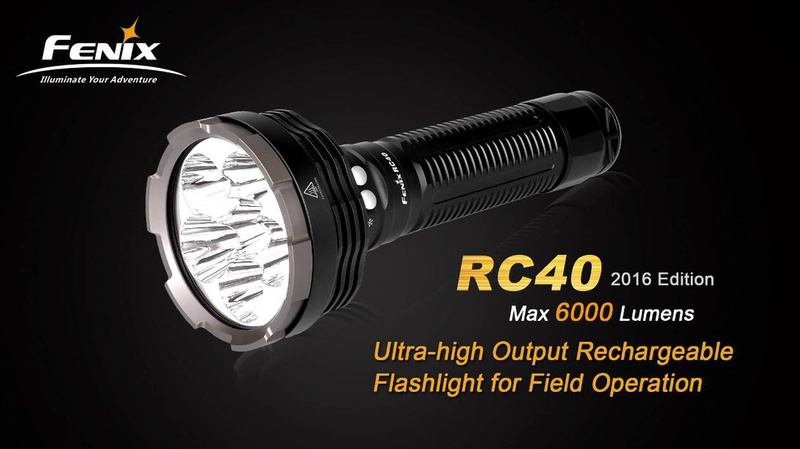 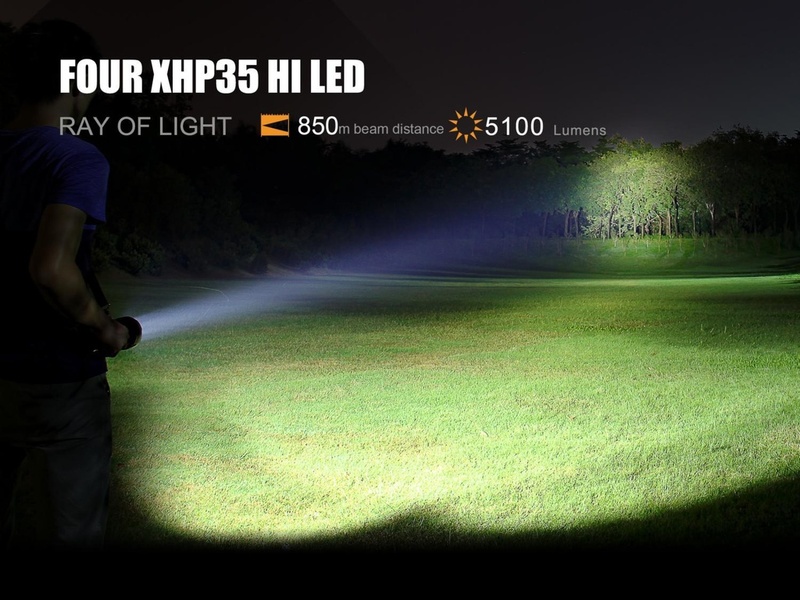 Fitted with 4 Cree XHP35 HI LED, TK75 flashlight goes the distance in power and versatility to satisfy various lighting demands like searching, securing, caving and more. 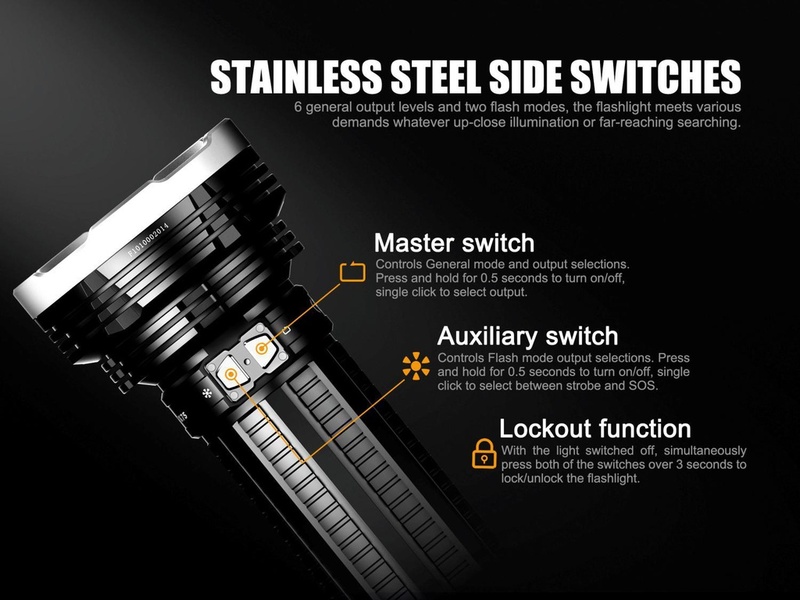 Dual stainless steel switches offer user-friendly output selection of 6 brightness levels and 2 flash modes. 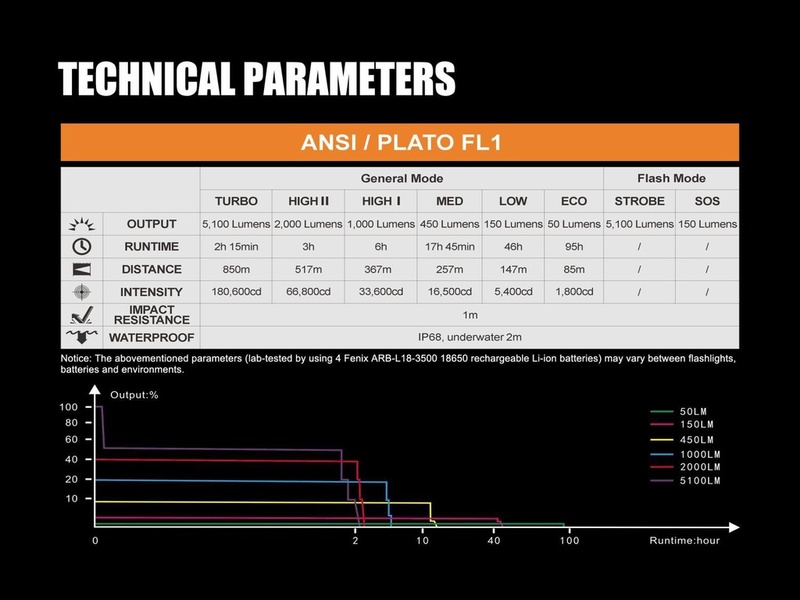 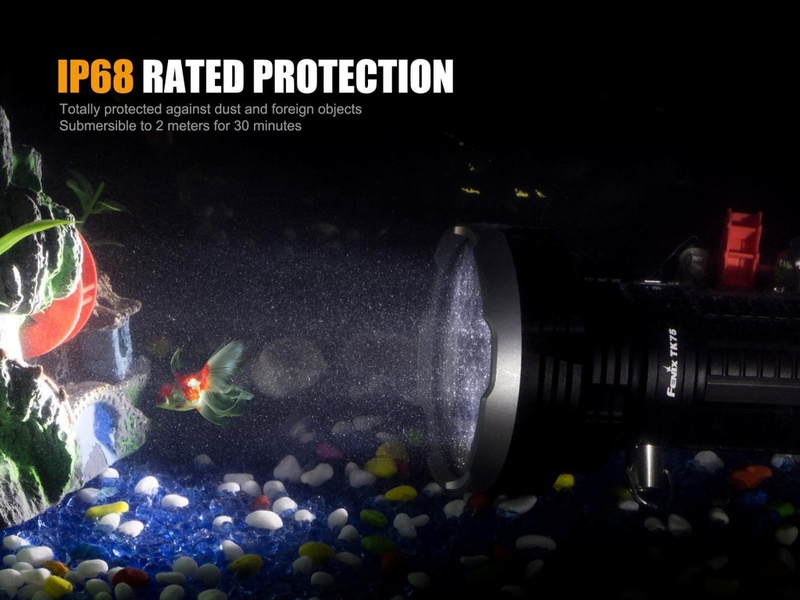 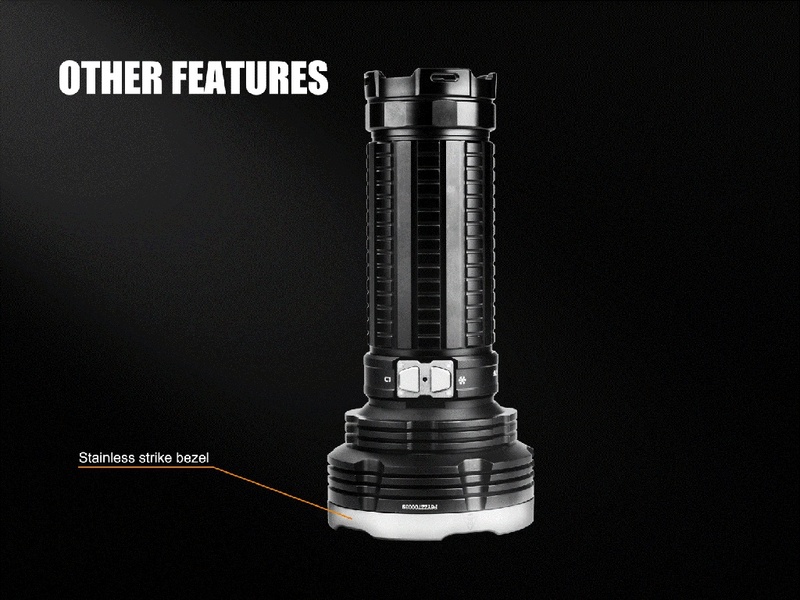 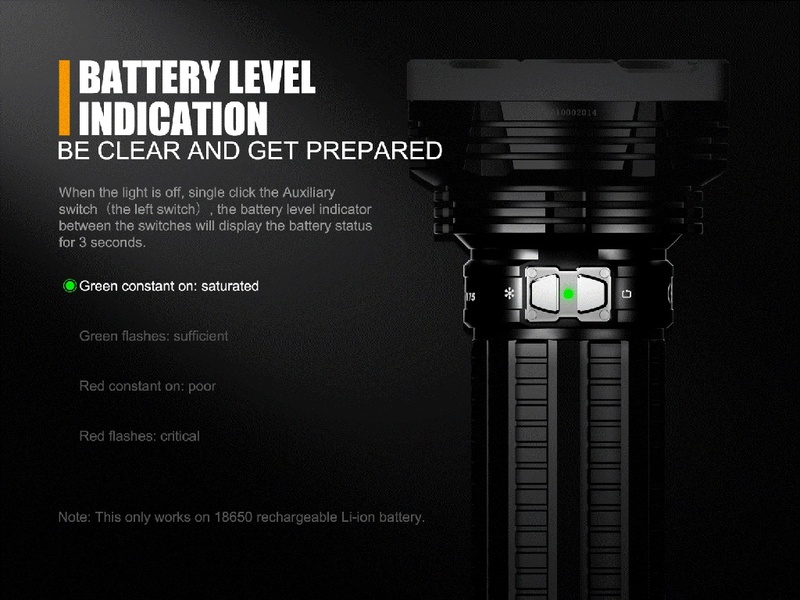 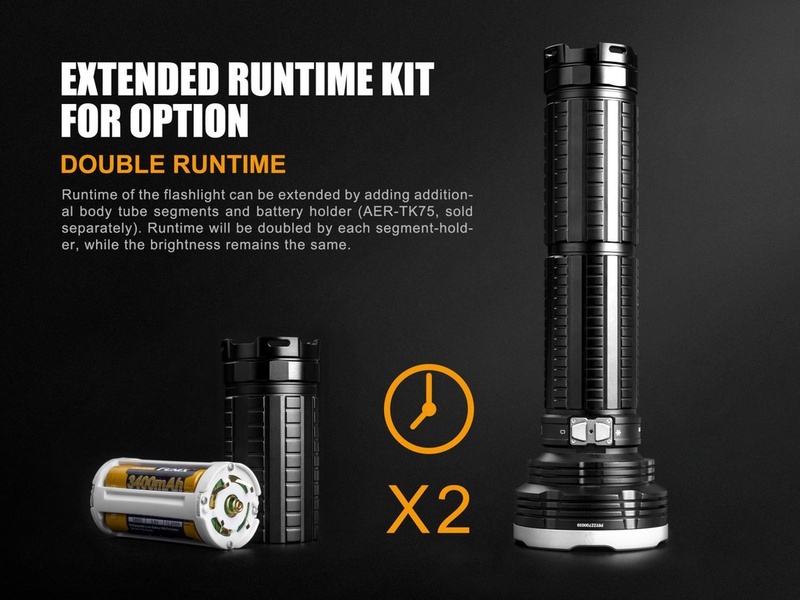 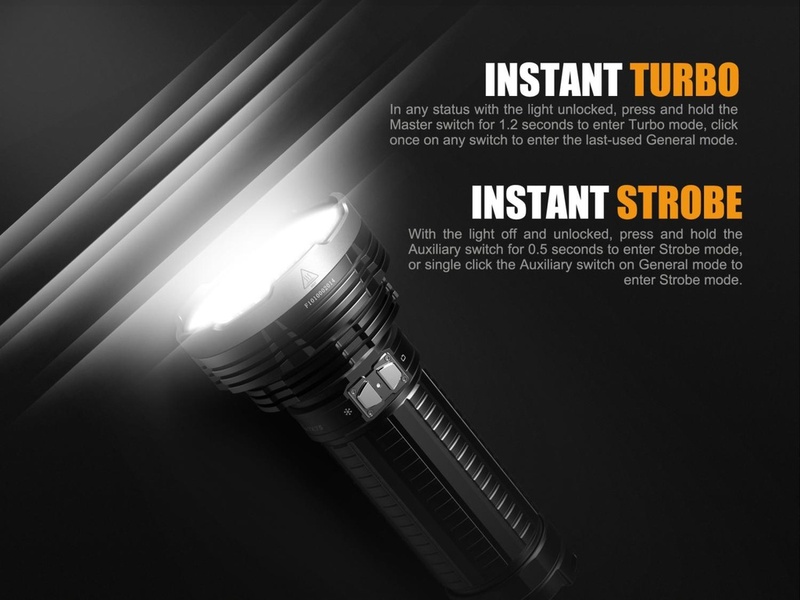 The lockout function prevents the possibility of unintended operation of the flashlight. 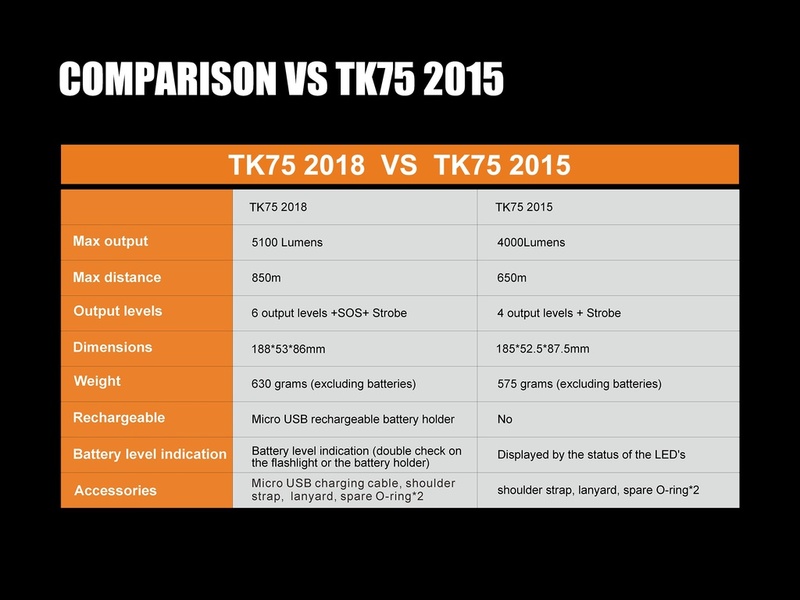 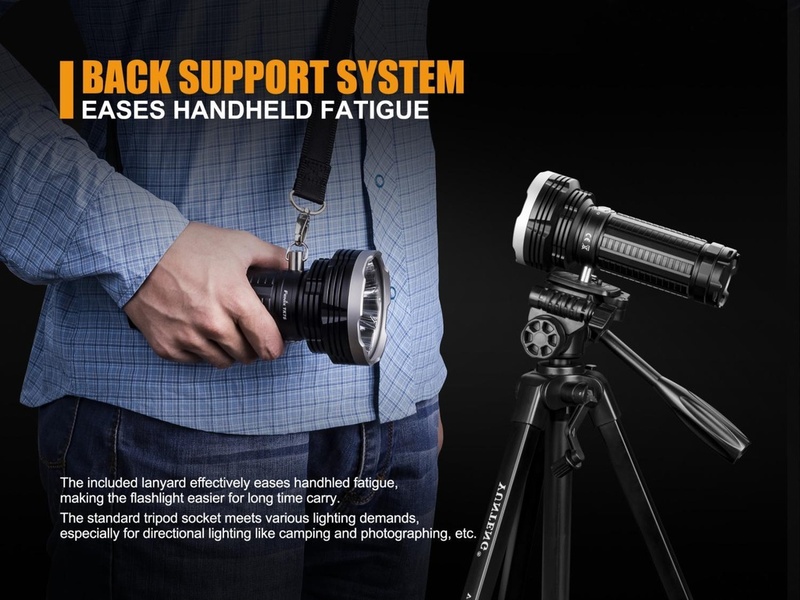 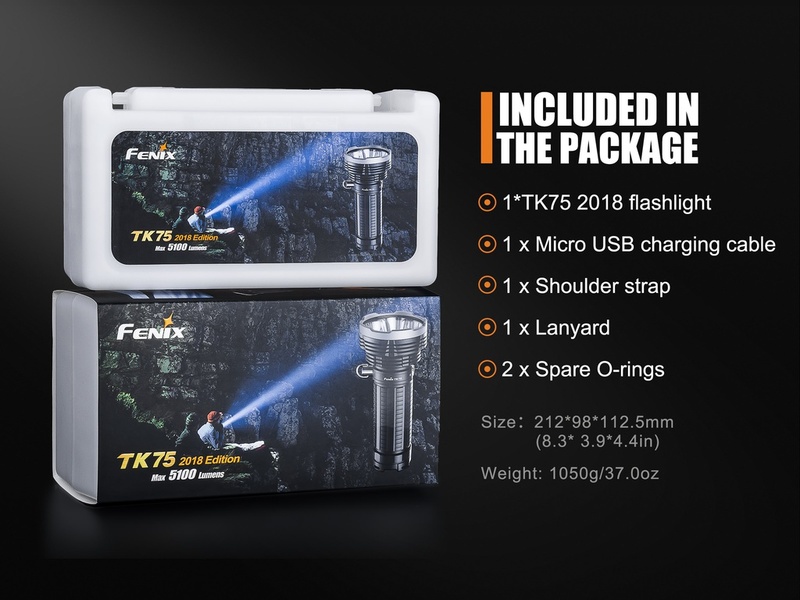 Additionally, a built-in socket that can take either a shoulder strap or tripod mount for carrying or mounting, makes the TK75 even more advantageous and reliable in searching, securing, caving and as standby lighting for cars. 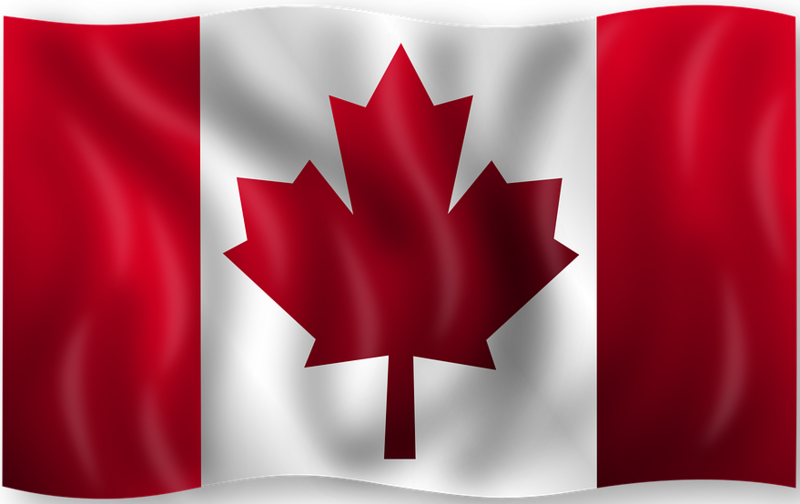 Compatible with: ARB-L18-3500, ARB-L18-2600, ARE-A4.